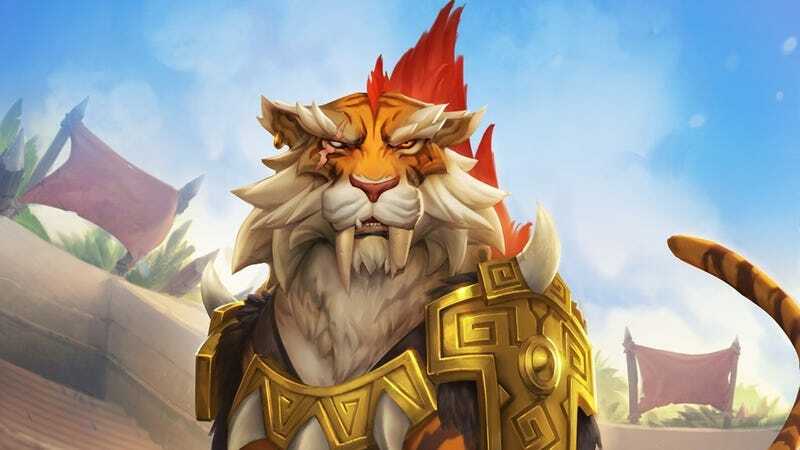 It was difficult to gauge the quality of Shirvallah, the Tiger before the Hearthstone card released as part of the game’s most recent set, Rastakhan’s Rumble. With its impossibly high Mana cost of 25, it was one of those cards whose strict requirement meant that its true value could only be tested after release. On paper, Shirvallah is just an expensive but powerful minion. Every time you spend 1 Mana casting spells, Shirvallah’s cost goes down by 1, even if it’s still in your deck. But considering that the maximum amount of Mana that a Hearthstone player can have is just 10, its 25-Mana cost means that you have to do a lot of spellcasting before it gets into “actually useable” range. Draw it in your opening hand, it’s a dead card. But draw it after you’ve already played 25 Mana worth of spells, and it’s a free 7-attack 5-health minion with Rush, Lifesteal, and Divine Shield, meaning you can use it to kill an enemy minion, heal for 7, and keep a big body on the board. As its increasing popularity and win rates show, Shirvallah is way more than just a powerful minion. One of its most devastating applications can only be pulled off when it’s actually still in your deck. Shuffle a copy of it back into your deck with a card called Baleful Banker, then combo it with a card called Holy Wrath, which draws a card and deals damage equal to its cost. This is a 25-damage combo enough to kill most enemies in one go. You can pull it off twice at the end of a game to take out almost any opponent. Shirvallah also has great synergy with another Legendary card called Crystalsmith Kangor, a 2-Mana minion that doubles all healing effects. Follow up Kangor with a Shirvallah, and you can heal for 14 health in one go—enough to bring you back into the game after getting beaten down by a more aggressive deck. Keep clearing the board, make it to the late game, and you can finish them off with any number of Paladin win conditions. When taken in tandem with the Paladin Death Knight card Uther of the Ebon Blade, whose hero power lets you auto-win the game over the course of a few turns, you have two potent options to close out games against more late game-focused opponents. There’s a concept in Hearthstone called stabilization. If you’re up against a deck that’s powerful in the early game, and your deck does better in the late game, your goal is to survive the early onslaught until the opponent runs out of cards to kill you with. Once you’ve done that, you’ve stabilized, and since you’ve got a better late game, you’ve pretty much won. 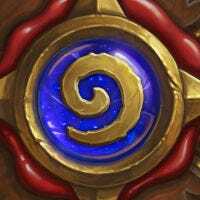 The problem is that a lot of decks in the current Hearthstone metagame are capable of stabilizing against aggressive early game-focused decks. You need both early-game survival and late-game finisher options if you want to win against a variety of the stuff that’s currently popular in the game. It’s the combo of power and flexibility that makes Shirvallah and its combo partners such great cards in today’s metagame.